Hello everyone and welcome back to my website! Today I have another jewelry review. The lovely brand Caperci reached out to me again wanting to work together. Since I loved the first piece I agreed. They have such beautiful jewelry, if you would like to check out their Amazon Store, Click this link and you can check out their pieces! So many of their pieces are perfect for this up coming Valentine's day!! 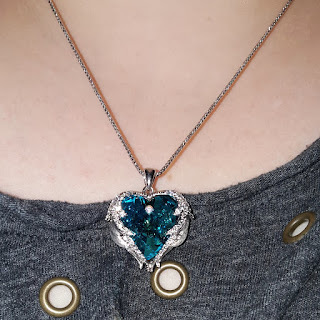 The necklace I received this time around is the 'Angel Wings' Sparkling Swarovski Crystal Heart Pendant Necklace, Here with a gem that has a blue to green shift, and one with a purple to blue shift! 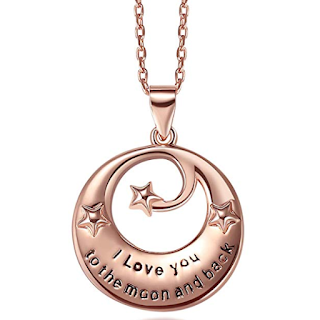 Two other stunning pieces they have are their "I Love You to The Moon and Back Sterling Silver Pendant Necklace, Here in Rose Gold or Silver. 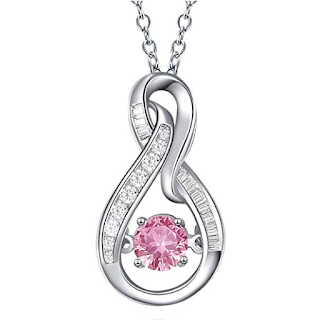 The other one is the Sterling Silver Cubic Zirconia and Lab-Created Gemstone Infinity Pendant Necklace in Pink, You can find that Here! 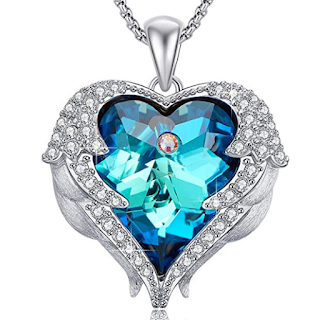 It also comes in a blue topaz stone. This is what I got last time and I love it! Best deal time is Now! Look how beautiful this Angel wings and Heart pendent necklace is! I received this necklace this time. I love it so much! It's heavy and beautiful! The chain is the perfect length, The stone shines so beautifully in the sunlight! The big blue heart makes the prettiest refraction on the walls. It's absolutely beautiful! Click the link above or the image itself to go strait to the item! This is the necklace I received last time! I love it, It's so weighted and pretty. The center stone actually moves as you move and reflects the light so beautifully! It's made with 925 sterling silver. I'm often allergic to most metals and this necklace hasn't caused any sort of irritation or itching. I love it so much and highly recommend. To check things out further, click the link above or click the image! This is such a beautiful necklace, it would be perfect for anyone you love in your life. From a spouse, to your child or any friend or family member, this would be a perfect gift! The rose gold tone is beautiful and it also comes in a silver option! There's a link for this necklace above, you can also click the image to go straight to the amazon link! Thank you so much for checking out this review! I hope you guys go check out their jewelry, which you can go to Here, or click the link above. I ended up wearing the first necklace for the better part of two days and I'm not allergic to the metal and that makes me so happy! The one I received this time didn't cause an allergic reaction either. 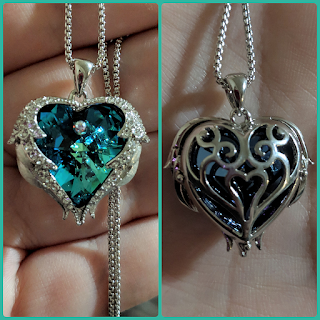 I'm so excited I have two beautiful necklaces that I can actually wear! These three necklaces are currently having awesome sales and if you want them before Valentine's day, hop on those deals while they're still available. I for once am so happy I decided to work with this brand, and I'd love if they wanted to work with me again!